Box of 100 toilet wipes for emergency sanitation on the go. Individually wrapped wipes are portable and convenient to store in purses, breifcases, backpacks, camping supplies and disaster preparedness kits. Product Shelf Life: 12 months. Use these toilet wipes for emergency sanitation or personal hygiene purposes. Use on face, hands or body. For use with the bucket style toilet or the portable folding toilet, and toilet bags to maintain hygiene at a campsite or while sheltering-in-place following a disaster. A must have item for emergencies, camping or any place away from modern conveniences. Why do you need emergency sanitation supplies for Disaster Preparation? Following a disaster, homes, offices, and/or schools may be unsafe to occupy and water mains may be damaged eliminating the convenience of indoor plumbing. Disaster vicitms are often forced to shelter-in-place outdoors in close proximity to others. Maintaining a sanitary environment is key to preventing the spread of disease. 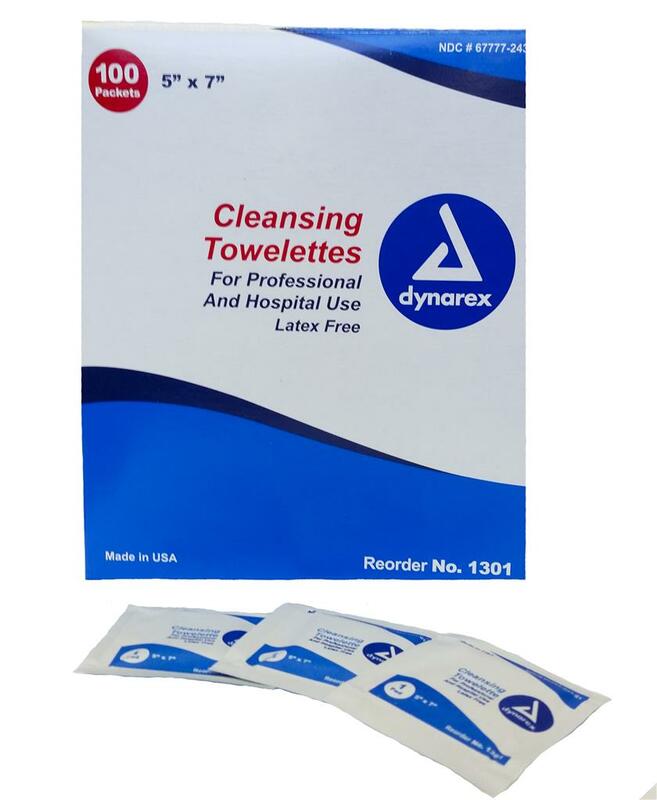 1 box of 100 toilet wipes: 8" x 5" x 2"
case (20 boxes/Case): 16.5 " x 10.5" x 11"
Use for emergency sanitation or personal hygiene purposes. Antiseptic cleaning of face, hands and body without soap and water. Instructions: Tear open package, unfold towelette and use as a washcloth.